Good grief it’s early to be posting an article on Nintendo’s Downloadable goodies. Yawn. Here are the goods, folks. Sales, price drops and DLC. Ok we’re all here. Wait, where’s player 1? Player 3! You said He was with you. 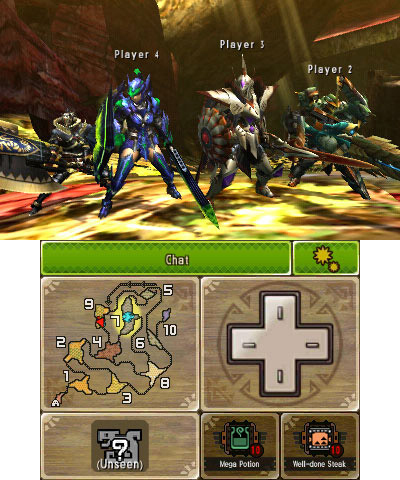 Monster Hunter 4 Ultimate – Demo Version – Experience big game hunting with the Monster Hunter 4 Ultimate demo, now playable on Nintendo 3DS. Play alone in a robust single-player experience or join with up to three other players via a local connection or online via Wi-Fi to tackle hundreds of quests and take down ferocious monsters. 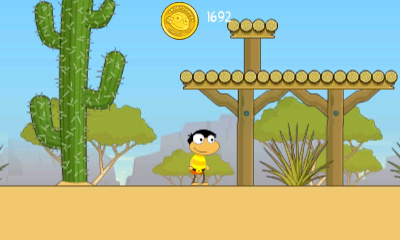 Click hereto watch a trailer for the game. Moon Chronicles – DLC – The three remaining episodes in Major Kane’s epic lunar journey are all available today for download, giving fans the opportunity to experience the entire season without delay. Players may purchase the new content individually, as separate episodes, or choose to purchase the Season Pass, which contains all three remaining episodes for a lower price. Click here to watch a trailer for Moon Chronicles. Kirby and the Rainbow Curse – Pre-Purchase – You can now pre-purchase Kirby and the Rainbow Curse in the Nintendo eShop on Wii U. Upon your purchase in the Nintendo eShop, you can pre-load the game onto your Wii U console, and then you’ll be able to play after a small game update when it’s officially released in the Nintendo eShop on Feb. 19 at 9 p.m. PT. Hyrule Warriors – DLC – The Majora’s Mask Pack is available for purchase in the Nintendo eShop for only $7.99 and includes new maps, costumes and the ability to play as Young Link and Tingle (Tingle!). The Majora’s Mask Pack is also part of the Hero of Hyrule Pack, the 4-Pack Hyrule Warriors DLC Bundle. The Hero of Hyrule Pack is available in the Nintendo eShop on Wii U and at select retailers for a suggested retail price of $19.99, and includes the Majora’s Mask pack, two previously released DLC packs, a “Boss Pack” that will launch in March and a bonus in-game Dark Link costume. Game & Watch Gallery 3 – With the third installment of the Game & Watch Galleryseries, you can enjoy five different games in both their original and revised versions: Egg, Turtle Bridge, Green House, Mario Bros. and Donkey Kong Jr. There are also six extra games that can be unlocked and played in Classic mode. DIG DUG – Become Dig Dug as you drill and defeat all of the enemies to clear each stage. Defeat the deep-dwelling Pooka and Fygar by using the harpoon and pumping air into them, or by dropping rocks from above. Lure and defeat multiple enemies at once, and collect vegetables for bonus points. MAPPY-LAND – Nyamco and his gang of felines have hidden birthday presents across MAPPY-LAND. Help Mappy find them and make it back to Mapico’s birthday party on time! Activate traps or use special items to distract the cats as you collect six of the same presents in each stage. Ubisoft Game Sale: Select Wii U and Nintendo 3DS games are on sale for up to 75 percent off until 8:59 a.m. PT on Feb. 16. It’s the final week of the Curve Digital Sale! Save up to 25 percent on select games until 8:59 a.m. PT on Feb. 12. SpongeBob SquarePants: Plankton’s Robotic Revenge is 50 percent off (reduced from $39.99 to $19.99) until 8:59 a.m. PT on Feb. 12. GetClose: A game for RIVALS is 40 percent off (reduced from $4.99 to $2.99) until 8:59 a.m. PT on Feb. 19. Moon Chronicles Episode 1 is 50 percent off (reduced from $8.99 to $4.50) until 8:59 a.m. PT on Feb. 26. Enjoy discounts on Etrian Odyssey IV: Legends of the Titan, Code of Princess and more games from ATLUS starting at 9 a.m. PT on Feb. 9 until 8:59 a.m. PT on Feb. 16. Get a discount on purchases of Soccer Up 3D and Soccer Up Online until 8:59 a.m. PT on Feb. 26. 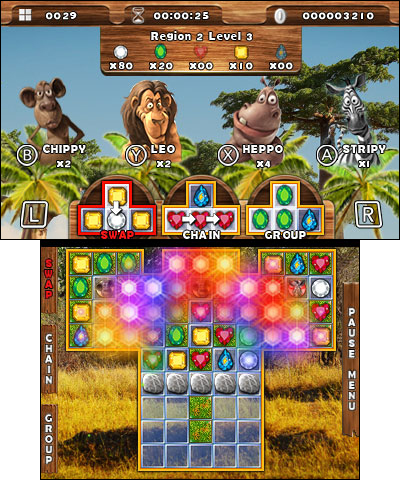 Classic Games Overload: Card & Puzzle Edition is 33 percent off (reduced from $29.99 to $19.99) from 9 a.m. PT Feb. 5 through 8:59 a.m. PT on Feb. 19. Christmas Wonderland 3 for Nintendo 3DS will be reduced to $4.99 (from $7.99) beginning at 9 a.m. PT on Feb. 6. Halloween: Trick or Treat 2 for Nintendo 3DS will be reduced to $4.99 (from $7.99) beginning at 9 a.m. PT on Feb. 6. Mystery Murders: Jack the Ripper for Nintendo 3DS will be reduced to $4.99 (from $9.99) beginning at 9 a.m. PT on Feb. 6. Mystery Murders: The Sleeping Palace for Nintendo 3DS will be reduced to $4.99 (from $7.99) beginning at 9 a.m. PT on Feb. 6. It’s been slow around Fear and Gaming he past few days. I was put up in the hospital getting my spine straightened out. I had a bit of adamantium added to my skeleton, and a tune-up and hard-drive upgrade tee hee. Thanks for the well wishes friends. Now, onto Nintendo News. Nintendo has been doing a great job lately not only revamping their digital portal, and that trend continues today with the highlights below. They’re also making a genuine effort to get virtual console games to the people with Super Mario Advance. Pokémon Puzzle Challenge is another treat for the sweet teeth of our faithful Pokémon fans as well. If you’re looking for some more retro fun and discounts after splurging on Mario and Pikachu, then have a look at a couple delicious delectables from the Sonic family. Stay tuned for more news soon, and take in all the great images provided by Nintendo and yours truly. Also, if you haven’t had your Pikachu and Pokémon fix after this article, stop by one of my favorite blogs that is put together with love and dedication by Blue Hobbes here! The blog is done lovingly and with dedication. Blue Hobbes is moving, so stop by his blog and wish him luck. If you’re having a hankering for some DC tv and comics content, stop by Hank Van Hawkins’ page here. Sportsball is a sport about…balls. 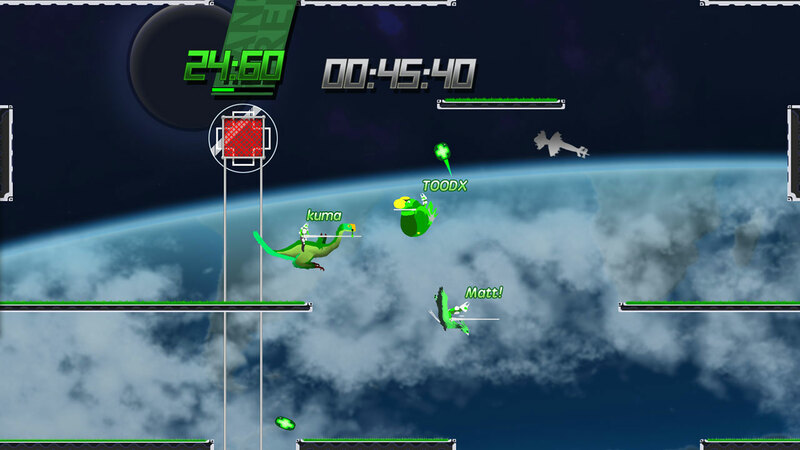 Sportsball – In this fun local multiplayer game that entertains a room full of friends, up to four players take the reins of exotic birds that flap, tackle and dunk balls into the net for points and glory. Play against your friends in more than seven game modes, or customize options to create your own. Call up all your buddies, hop on your birds and play Sportsball! 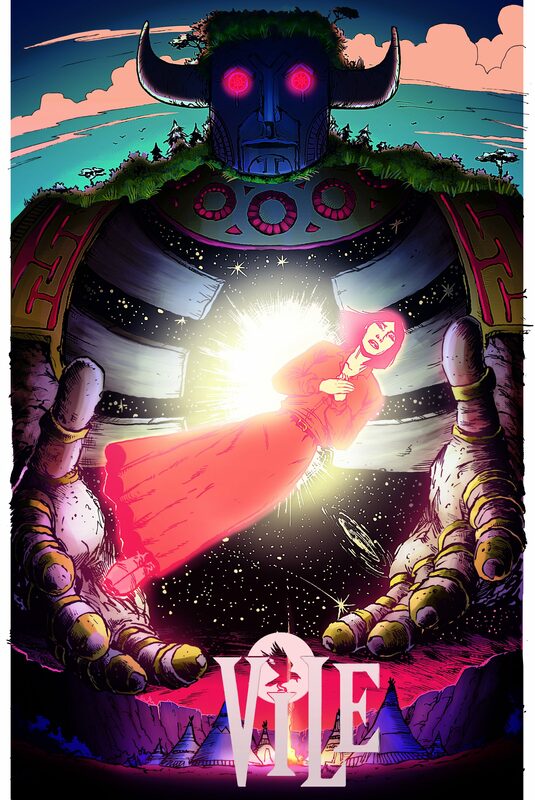 Click here to watch a trailer for the game. 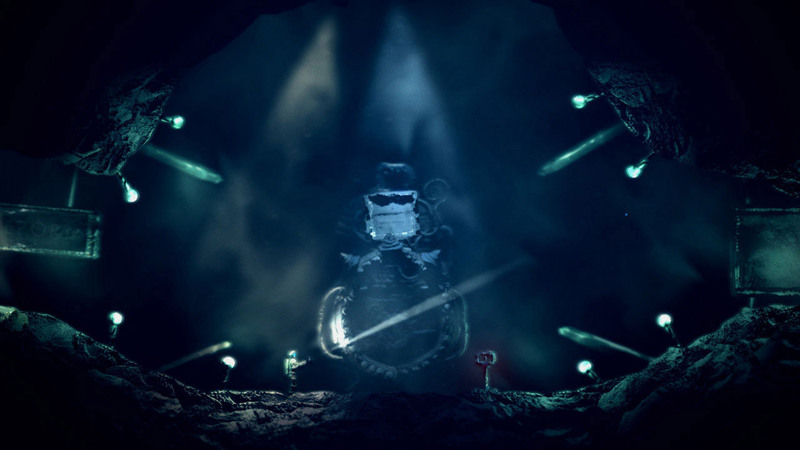 The Swapper – In this atmospheric sci-fi puzzle game set on abandoned space station, solve puzzles by creating clones using the Wii U GamePad controller. Click here to watch a trailer for the game. Yeah, more…Guardians of the Galaxy. Now, can we get a New movie for Howard the Duck or one for Spider-Ham? Ugh. 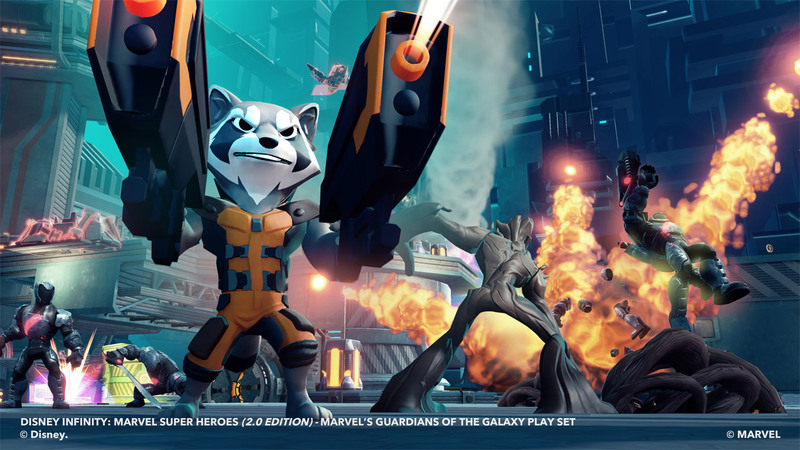 Disney Infinity (2.0 Edition) – Disney Infinity (2.0 Edition) allows you to conquer a game universe with endless opportunities to create stories and action-filled adventures featuring new Super Heroes, characters and powers. Enjoy up to four players in online multiplayer, use your Wii U GamePad controller to create your own worlds in the Toy Box, activate missions or unlock toys in Play Sets. Click here to watch a trailer for the game. Sonic Boom: Shattered Crystal – Free Demo Version – Try it before you buy it. 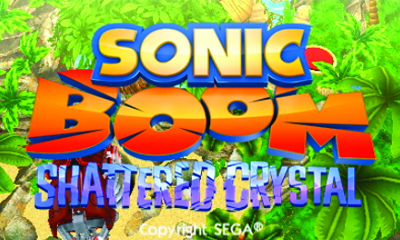 Download the free demo version of Sonic Boom: Shattered Crystal. 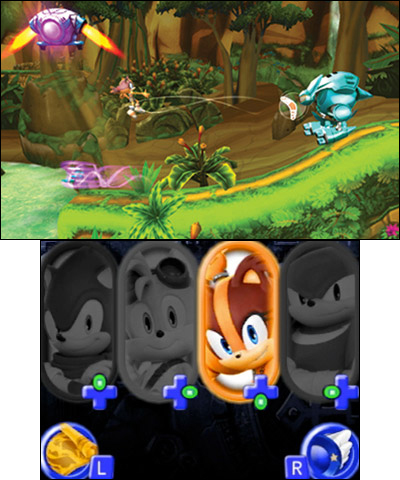 Sonic must team up with Tails, Knuckles and new friend Sticks to rescue Amy from the clutches of Lyric and his robot army. Click here to watch a trailer for the game. The full version of Sonic Boom: Shattered Crystal launches exclusively for Nintendo 3DS on Nov. 11.
nintendogs + cats: Golden Retriever, nintendogs + cats: French Bulldog, nintendogs + cats: Toy Poodle – The fun of the nintendogs games returns, with multiple breeds to choose from, accessories for your puppies and kittens to wear, and the ability to let your puppies and kittens train and compete in different challenges and activities. 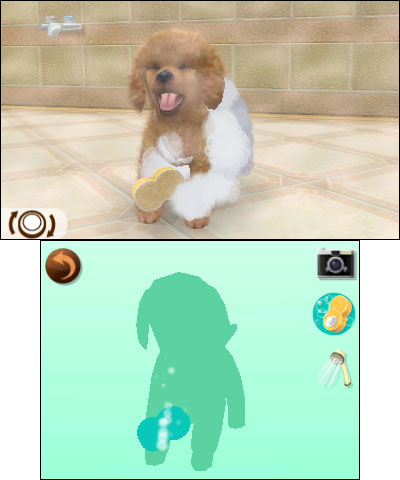 Plus, get a free nintendogs + cats theme for your Nintendo 3DS system when you buy one of the nintendogs + cats games in the Nintendo eShop. You’ll find the download code for the free theme on your Nintendo eShop receipt. See the game information page for offer details. Download codes are available while supplies last and expire on Dec. 31, 2015. 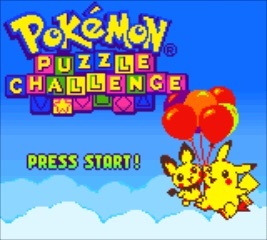 Pokémon Puzzle Challenge – Journey to Johto for the ultimate puzzle challenge! 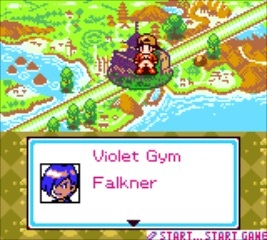 With the help of many favorite Pokémon, you will take on Gym Leaders like Jasmine, Pryce and Falkner on a quest to become the Pokémon Puzzle Champion. Use lightning-fast reflexes to form chains and combos that will help clear all the challenges that await you. Click here to watch a trailer for the game. Plus, you’ll get a code for the Pokémon Omega Ruby and Pokémon Alpha Sapphire Special Demo Version with your purchase of the Pokémon Puzzle Challenge game. You’ll find the free demo code on your Nintendo eShop receipt. Download codes are available while supplies last and expire on May 31, 2015. Sonic Boom has gorgeous visuals, though we haven’t given it a spin yet. Join the fight against forest fires. Clearly, SOMEONE didn’t listen to Smokey. This dog has definitely went straight through the uncanny valley to the creepy as possible creepy puppy plateau. 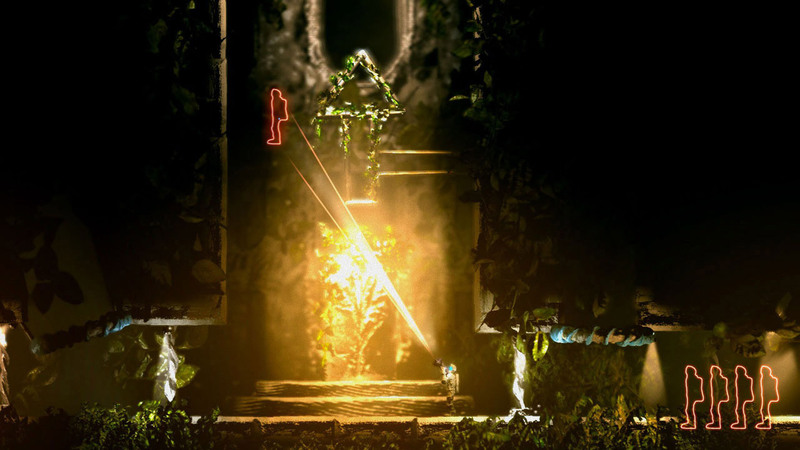 The Swapper is a great game with some solid indie type cred. Get ready for some amazing new Pokemon content starting in November 2014. POKÉMON fans rejoice and rejoice long and strong. 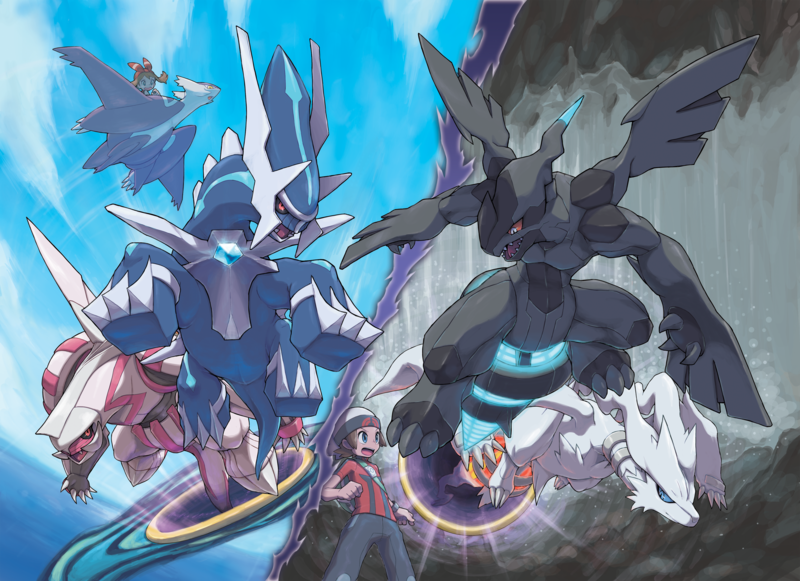 Legendary POKÉMON will be available in Omega Ruby and in Alpha Sapphire. Get your 3ds ready because those games drop on the 3ds systems on November 21st. I know several people that I know have been waiting what seems like years to get legendary Pokemon. There are people out there that dedicate portions of their lives to finding these powerful little creatures, so the opportunity to get your hands on one should not be passed up. Get ready Latios, because I’m coming to find you. As if that little news item wasn’t enough, an Eon ticket will be available later this year that will open up the Hoenn region’s Southern Island. Make sure to read the full release if you’re a true fan, because the release contains a lot of news and exciting items like a special demo version. For more information and Nintendo’s full press release, read below. 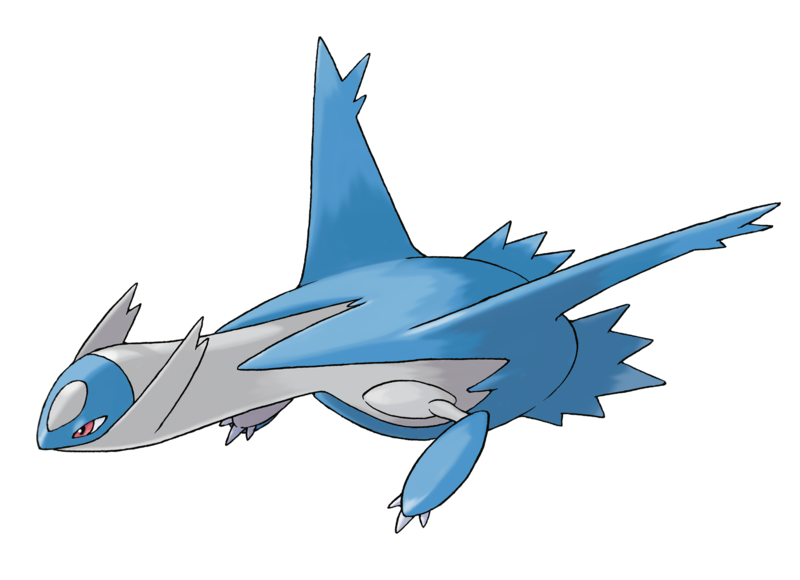 BELLEVUE, Wash. – October 14, 2014 – Today, The Pokémon Company International and Nintendo announced that the Legendary Pokémon Latios can be obtained in Pokémon Omega Ruby while Latias can be obtained in Pokémon Alpha Sapphire when the titles launch November 21 for the Nintendo 3DS family of systems. 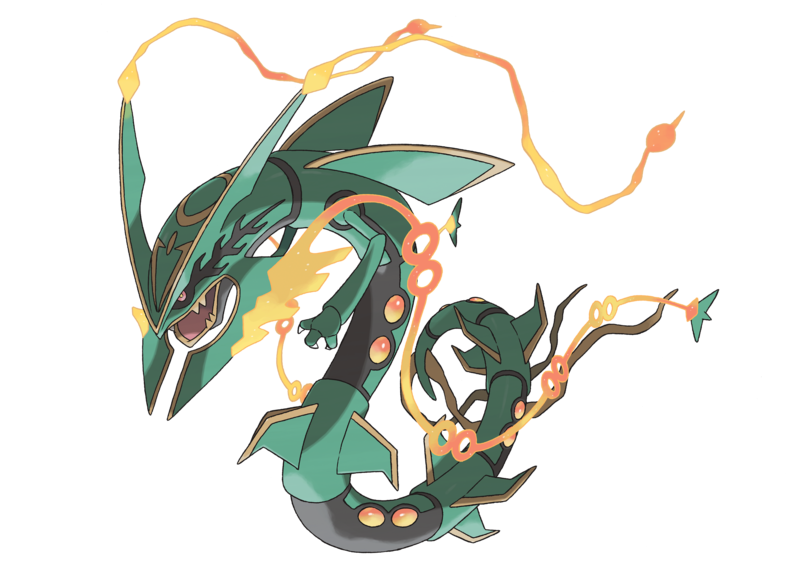 These high-flying Dragon- and Psychic-type Pokémon can Mega Evolve fly freely through the skies of the Hoenn region. Trainers can hop on the back of their Mega Latios or Mega Latias and navigate the region through the air at high speed while performing midair tricks and hairpin turns. This brand-new method of travel, called Soar, takes a player’s Pokémon adventure to new heights and provides access to Mirage spots, where rare Pokémon—including Legendary Pokémon—and valuable items may appear. Dust off the 3DS and practice those training skills. It was also revealed today that Pokémon Omega Ruby and Pokémon Alpha Sapphire players will be able to obtain the Eon Ticket later this year, granting them access to the Hoenn region’s Southern Island where they can encounter and catch Latias in Pokémon Omega Ruby or Latios in Pokémon Alpha Sapphire. This is the only way players can catch these Legendary Pokémon in-game, as they cannot be caught during normal gameplay. More details about when and how players can obtain the Eon Ticket will be announced later this year. Special Demo Version Available Soon! Nintendo 3DS and Nintendo 2DS owners can now embark on a special Hoenn adventure by downloading the Pokémon Omega Ruby and Pokémon Alpha Sapphire Special Demo Version. The Special Demo Version gives players a glimpse of the adventure coming on November 21, including the chance to battle with Sceptile, Blaziken, or Swampert and seeing their Mega-Evolved forms in action! 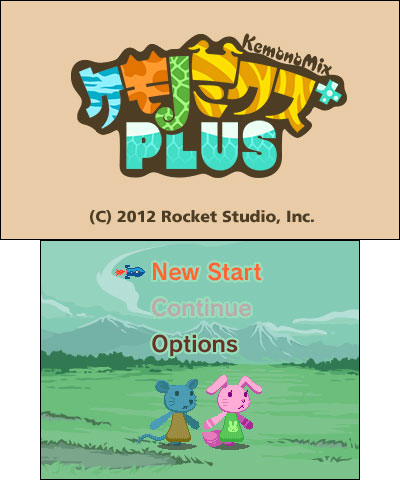 To obtain the Special Demo Version, players first need to obtain a serial code, which is being distributed at no charge in various ways, and head to Nintendo eShop on their Nintendo 3DS or Nintendo 2DS device to download the Special Demo Version. Pokémon fans who have a Pokémon Trainer Club account and have opted to receive the Pokémon Trainer Club Newsletter will receive a serial code for the Special Demo Version when the newsletter is emailed to them on October 21. Get a Pokémon Trainer Club account at no cost at Pokemon.com by October 19 to receive the October 21 newsletter and Special Demo Version serial code. Pokémon Omega Ruby and Pokémon Alpha Sapphire are sold separately beginning November 21. Additional methods of how to receive a serial code for the Special Demo Version will be announced soon. New Mega-Evolved Pokémon: Mega Pidgeot and Mega Beedrill! Mega Pidgeot and Mega Beedrill will make their debut in Pokémon Omega Ruby and Pokémon Alpha Sapphire. Boasting increased Special Attack and high Speed, Mega Pidgeot makes quick work of its opponents. Pidgeot can learn the Flying-type move Hurricane, which creates a chaotic storm around the target, potentially causing confusion. Coupled with its No Guard Ability, which allows all moves to land a hit regardless of accuracy, Mega Pidgeot can be a saving grace in any battle. Upon Mega Evolving, poisonous stingers on Beedrill’s tail and arms grow, new barbs sprout from its legs, and its Attack receives a boost. The Bug-type move Fell Stinger raises Beedrill’s Attack stat by two stages when it causes an opponent to faint, and its Adaptability Ability raises the power of its moves of the same type from the standard 150% to 200%, making Mega Beedrill a great offensive teammate. Navigate Your Adventure with PlayNav Plus! 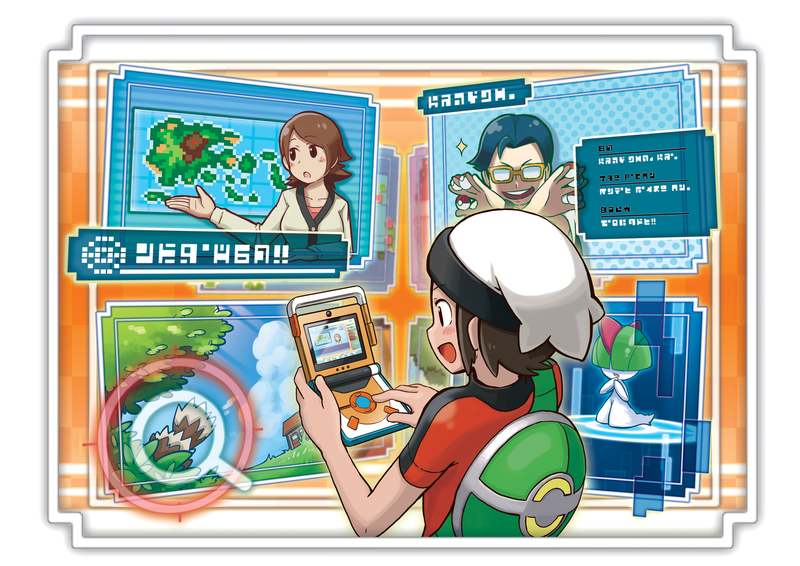 PokéNav Plus is a new tool designed to help players navigate their journey across the Hoenn region. PokéNav Plus is packed with applications to help players find hidden or specific types of Pokémon in tall grass via the DexNav, check all kinds of Hoenn region information via the AreaNav, and view news from around Hoenn and from other players whom you’ve passed with BuzzNav. 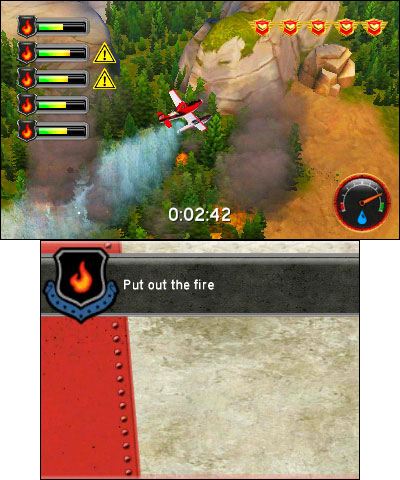 The PlayNav function offers three popular features that first appeared in Pokémon X and Pokémon Y—the Player Search System (PSS), Pokémon-Amie, and Super Training. 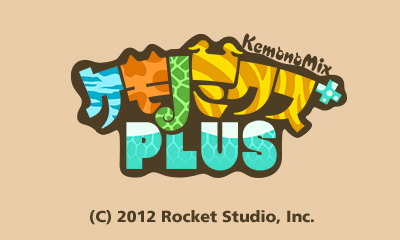 The PSS allows players to trade Pokémon and battle with others nearby or around the world with a Wi-Fi connection. 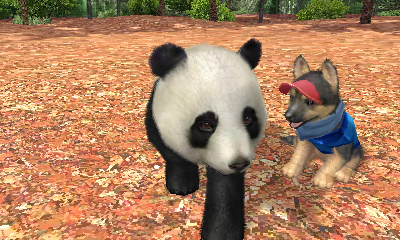 Trainers can play with their Pokémon and feed them treats called Poké Puffs in Pokémon-Amie, and the bond between Trainer and Pokémon will grow. Super Training is a fun way to prepare your Pokémon team for battle. PlayNav also allows players to manage their O-Powers, special advantages that can be kept or shared with others as the game progresses, and view announcements via the Holo Caster. Ready for Latios and Latias? Be sure to visit Pokemon.com/OmegaAlpha for more Pokémon Omega Ruby and Pokémon Alpha Sapphire news that will be revealed leading up to the November 21st launch. Game, the animated TV series, home entertainment, and the official Pokémon website. Pokémon was launched in Japan in 1996 and today is one of the most popular children’s entertainment properties in the world. For more information, visit www.pokemon.com.